Wild Hair Alpacas LLC: What's So Special About Alpaca Fiber? 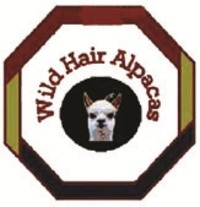 Home Wild Hair Alpacas LLC: What's So Special About Alpaca Fiber? What do you do with alpacas? You raise them for their fiber. Aside from having a wonderful handle, so soft that you can wear right next to your skin, what’s so special about alpaca fiber? It’s warmer and stronger than the fiber of other mammals, light weight, and very water resistant. It has other qualities, as well. In the Yocum-McCall Testing Laboratories, alpaca was shown to be three times warmer than sheep’s wool. Why? One reason is that alpaca is more heavily medullated: in other words, there are tiny hollow areas in the centers of many individual alpaca fibers. These areas hold the warmth and, in addition, make alpaca lighter in weight than other animal fibers. Another study showed that if worn in a 0 degree F environment, alpaca would give a 50 degree F comfort range. Sheep’s wool would provide a 30 degree F comfort range in the same environment. In addition, Yocum-McCall found alpaca to be very strong. The average tensile strength of alpaca is 50 N/ktex; 30 N/ktex is considered adequate to run on modern mill machinery. Other sources say alpaca is the strongest mammal fiber. One historian wrote that native peoples braided alpaca/llama fiber with reeds or cotton to make bridges spanning canyons in the Peruvian Andes. People have long observed that alpaca is very water resistant. Tests at Gaston College in 2009 proved that. Their representative told the Alpaca Fiber Symposium that alpaca is virtually water repellent. In the testing process they found it all but impossible to saturate alpaca fiber to do the test. This extreme water resistance may be the reason alpaca so successfully wicks moisture away from the body. The many fans of alpaca socks tell us that the socks are very warm but that their feet don’t feel sweaty while wearing them. Thus, while wearing alpaca socks, one’s feet remain comfortable in cold, wet conditions. The water resistant quality of alpaca may be a reason some report that it resists odors better than other fibers, even in socks. Alpaca does not contain lanolin, making it easier to process than sheep’s wool. It does not require the kind of scouring process that sheep’s wool does. It is also a reason alpaca can have an 87-95% clean fiber yield whereas sheep tend to have a 43–76% clean fiber yield. Alpaca tends to be hypoallergenic. Many people who cannot wear wool, report that they can wear alpaca with no allergic reaction. Alpaca tends to have a low “prickle factor” which makes it possible for most people to wear it next to their skin without itching. Some experts say this is because the individual scales on alpaca fibers are smoother and lower than those on the fibers of other mammals. The quality of the scales on alpaca fiber is also the reason that garments made from alpaca don’t pill. Alpaca is more flame resistant than plant or synthetic fibers. In addition, in case of fire, it does not melt onto the skin like synthetics do. Some fabric experts say alpaca is more resilient and wrinkle resistant than cashmere. They also suggest that it has a lower tendency to shrink than wool and cashmere. There are two types of alpacas. Huacayas have crimpy, bundled fiber and a fluffy look when in full fleece. Suri fleece falls in long, lustrous locks or ringlets which move freely as the animal walks. Under the microscope, it can be seen that the surface structure of suri fiber is lower than that of huacaya fiber and the height of the scales of huacaya fiber is slightly higher and has a steeper edge angle than that of suri fiber. This gives suri fiber a slicker, softer hand than huacaya. makes felting suri a longer process than felting huacaya. Helen Hamann, a fashion designer and alpaca fiber expert who is knowledgeable about Incan culture and Peruvian history, tells us that an Incan man’s wealth was counted in textiles made from alpaca fiber. While we can’t pay for goods and services in alpaca fiber, we can make and sell hats, gloves, sweaters, scarves, pillows, blankets, rugs, bags, puppets, pin cushions, wall hangings and a myriad of other products from this fabulous fiber! Alpaca comes in 22 gorgeous natural colors ranging from white to true black and including delicate beiges, vicuna-like fawns, luscious rich browns and a full range of grays. For those who want other colors, alpaca accepts dye beautifully. Alpaca is a versatile, warm, strong, water resistant fiber which is produced on a gentle, hardy animal. Alpacas are ‘green’ animals, easy keepers that are light on the land, making them ideal fiber animals to raise on small acreage.